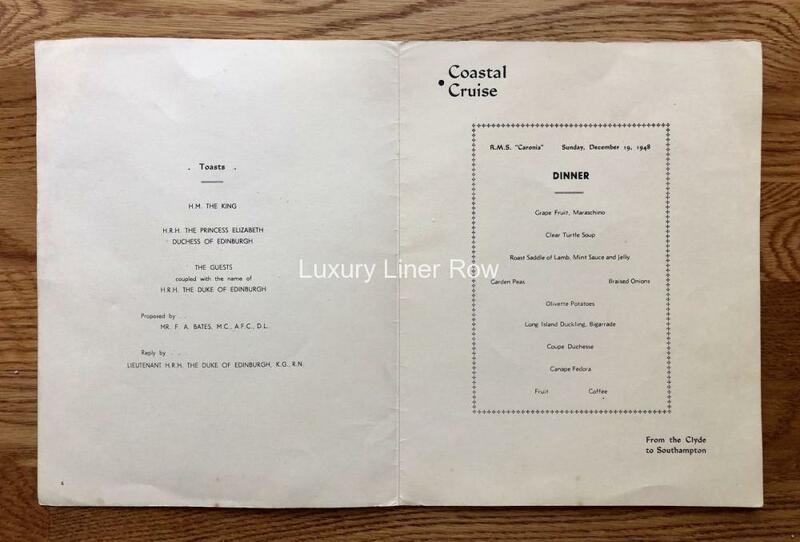 A dinner menu from Caronia’s first trip before the maiden voyage. A cruise from Scotland to Southampton. 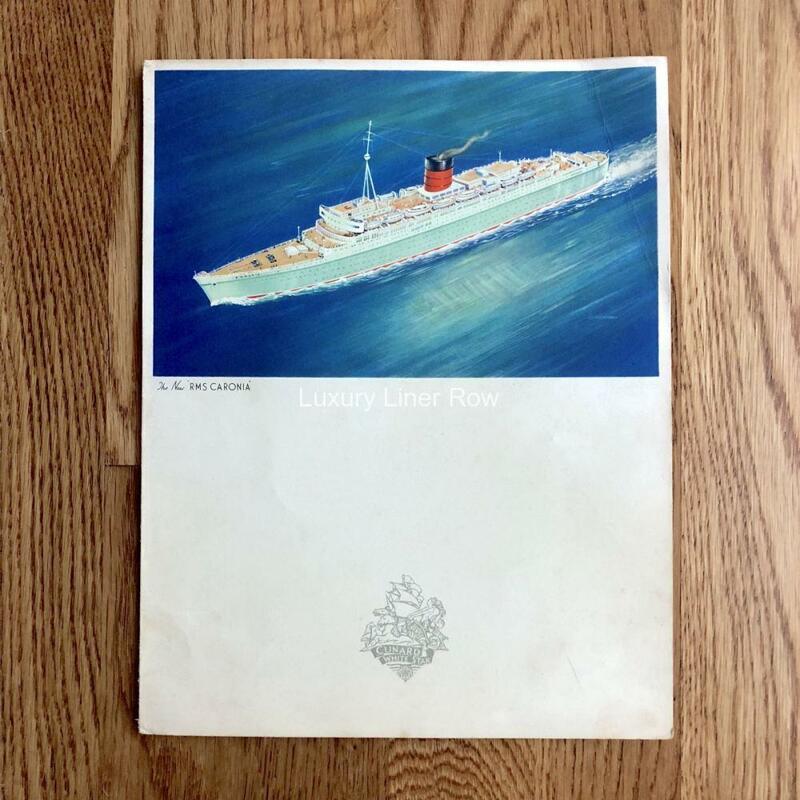 Cunard treated over 400 VIP’s and company employees to this voyage. Of course, the star guest was H.R.H. The Duke of Edinburgh. 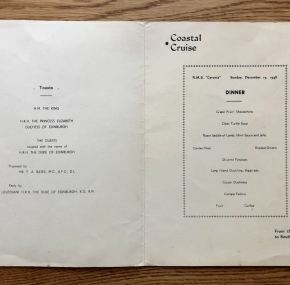 He gave a speech to the assembled passengers before the toasts listed in this menu. In it, he said his wife the Princess (now Her Majesty Queen Elizabeth II) “couldn’t attend having just had a launching of her own, Prince Charles.” In excellent condition. Who knows? 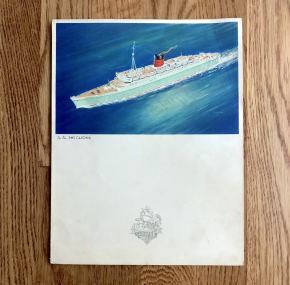 This might have been the copy that belonged to Mr. Parker, now made so famous in The Crown as he traveled on Caronia with the Duke.